As car enthusiasts, we’ve all got a short list of “the cars that got us into cars”. 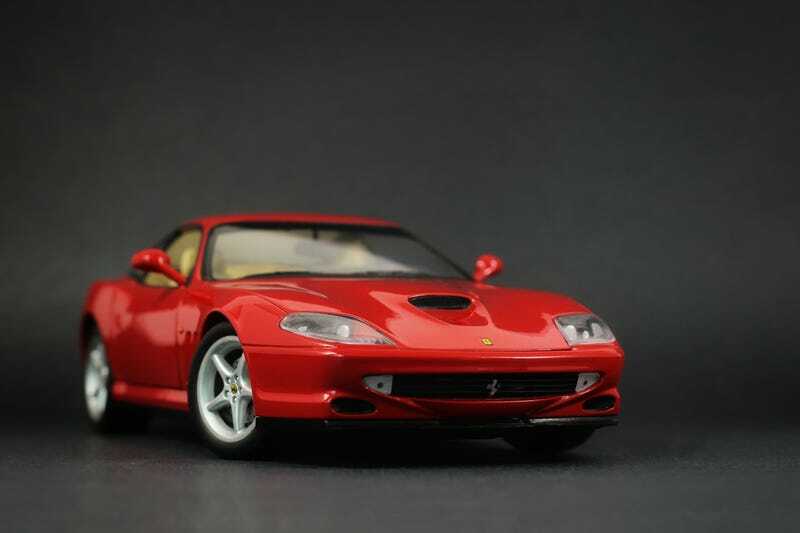 This one, the Ferrari 550, is definitely on my list. I remember back in 6th grade, sitting in some doctor’s office reading an actual magazine. It might have been Road and Track, or maybe Motor Trend, but they had a brand new yellow 550 Maranello as their feature article. I was instantly hooked, and became obsessed with all things Ferrari. I wanted to grow up the be the CEO of Ferrari, not a fireman or astronaut like the other nerds in my 6th grade class. There were rumors spread about me that my family owned two Ferrari’s. Fast forward 20 years, I’ve got two kids instead of two Ferrari’s, and only enough disposable income to snag this 1/18 550 off eBay at a bargain. I did have a silver one, but that was kind of broken. The 550 meant too much to me to... who am I kidding, eBay suggested it so I watched it and won the auction for a ridiculously low price.